Applied as a mask, this powerful yet gentle formula will moisturize, nourish and cleanse, leaving the skin soft and smooth. It is gentle enough for daily use if desired. 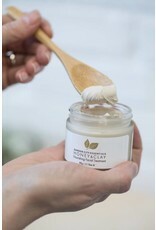 Simply smooth over face using your fingers or a mask brush and leave on for 10-20 minutes. Moisten with water and massage to remove. Your senses will be indulged and delighted with the intoxicating scent and pudding like texture. 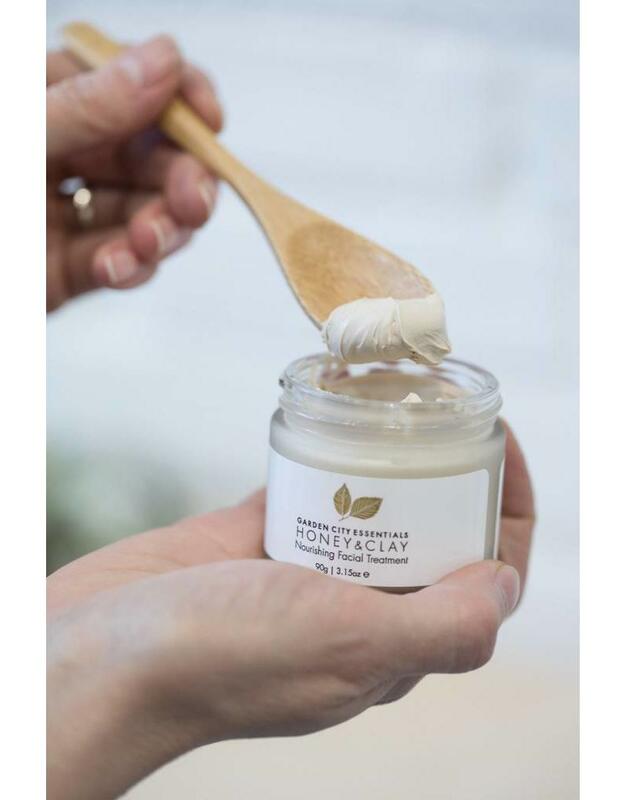 Raw honey is a natural humectant, meaning it draws moisture to the skin. The enzymes in honey make it a gentle exfoliant and pore cleanser, great for treating acne and other blemishes. Kaolin Clay is a naturally occurring soft clay that imparts a gentle, non-drying cleansing and detoxifying action for even the most sensitive skin. Marula oil is suitable for all skin types. It is a soothing, nutrient dense oil that absorbs quickly and doesn't leave a greasy finish. This free radical fighter will lock moisture into the skin for amazing hydration and nourishment. Marula oil improves elasticity and reduces fine lines. Frankincense and Myrrh impart powerful anti-inflammatory, anti-bacterial, astringent and vulnerary actions, toning and lifting the skin to reduce the appearance of wrinkles and promoting skin cell health and healing irritations. One of my staples in my weekly face care routine. Leaves my skin feeling very soft. Works well with sensitive skin!